The Core Riot XR5 offers the highest quality German engineering in a kite that is designed for user-friendly performance. 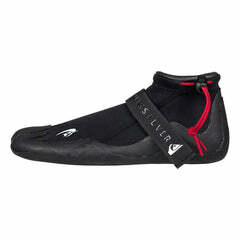 •Responsiveness Very responsive - Direct feel in steering. •Turn Radius Narrow, pivotal turn. •Window Position Forward window position. 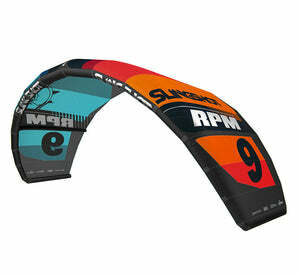 •Wind Range Great wind range - 170 lb riders expect optimal power on a 12m in 15-24mph wind. •Relaunch Easy and reliable relaunch. •Bar Pressure Light to medium bar pressure. •Power Per Size More power and depower than most other kites on the market. •Material Core-Tex Triple Core Ripstop (XR5), Core-Tex Single Core Ripstop (XR5 LW) and Exotex Dacron leading edge and struts. •Valve High flow valve with direct to hose connection and one pump inflation. •Bridal Compact bridle with pulleys. •Wingtip Swept back full wingtip. •Bonus High quality repair kit in every kite and the bags are big enough to fit the kite even if you don't fold it right. The usable wind range on the XR5 is better than any other kite on the market. The kite shape and bridle system allows you to still have good steering when you are fully depowered and the kite fully sheeted out. Most other kites on the market lose all their steering when you sheet the kite out. The XR5 Lightwind is the fastest turning and best jumping light wind kite we have ever flown. In a category dominated by sheer low end grunt this kite stands above the rest with fast turning and a forward position in the window that enables big boosts and tons of hang time. The 5th Gen of the XR has transformed into a kite that's extremely easy to use. It is super stable in even the gustiest of conditions. The water relaunch is very reliable. Steering has become more direct so you can always feel where the kite is. We teach first time beginners on the XR5 and they are progressing on this kite faster than others in the fleet because the kite works so well in all conditions and it is so user-friendly. One of the features that we love on the XR5 is the rider adjustability that you get with their bridle system. There are adjustments on the leading edge to move the kite deeper or more forward in the wind window based on the rider's size and the feel of the kite they want. The trailing edge bridle allows you to increase or decrease the turning speed. We are not sure how the Germans do this, but they have made every kite in the XR5 range work on the same size bar. The 5m is not overly fast and the 19m is way faster than any other kite of that size. 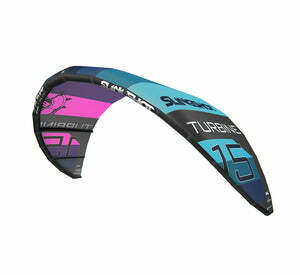 When you are going up or down in kite sizes, you have the same ride, feel and performance. This consistency in size range will help your progression and not leave you longing for those perfect 9m conditions. The XR5 completely changes shape as you sheet in and out. When you are fully sheeted in, the kite flattens out and there is a ton of surface area exposed so you get a lot of low end power. When you are sheeted out you get a lot more arc in the leading edge and a lot of the wing tip gets exposed which provides you with a more stable kite and better power delivery through powered up turns. Most importantly when you boost, this shape change allows you to go really high up and when you come down the kite shape changes to make it feel like the flaps on the wings come out for an extra soft landing. Now for the fun stuff, BOOSTING! The XR series has always been known for monster hang time and the XR5 does not disappoint. The soft landings are only one piece of the puzzle that makes the XR5 such a great jumping kite. Other features of this kite that make it perfect for boosting include being great in gusts, the mega wind range so you can go out litt up and still be in control, and the responsive and positive bar feel make this a great kite for your first jumps or your first 50' jump. Finally, the XR5 uses the best materials and they are built to last. Core uses proprietary materials and their construction is second to none. Even after this kite gets beaten and abused, it will still have that same feel as the first day you rode it. The five strut canopy stays tight and together and even after the kite stretches, it still rides great. Because they hold up so well, the kites have a really high resale value. Core’s construction is the best in the industry, even after hundreds of sessions the kite performs nearly as good as new. The Core Tex canopy stretches minimally and the Exotex Dacron stays crisp longer than any other material. Once most kites undergo this much use they are completely bagged out and fly poorly. With a Core, the canopy will feel softer but the performance remains. We found with a couple mega lesson smashes that one pump hose popped off the kite. This was a session ender but the kite lived to see another day rather than splitting in half. Core also includes some extra zip ties and repair materials just in case this happens to you. There are a lot of attachment points on the leading edge and trailing edge bridle that you can use to "fine tune the performance" of this kite. We recommend riding the bridle on the stock settings for at least five sessions to feel how the kite rides straight out of the bag. The kites are pretty quick turning so most people don't use the fast turning speed settings unless you want to really crank up the turning for riding waves. The leading edge attachments can fine tune the bar pressure by moving the kite forward and back in the wind window. Generally lighter riders prefer the higher bar pressure setting and heavier kiters like the medium bar pressure setting. We have had the bridle or flying lines catch on these leading edge attachments when you are getting set up to launch your kite. They are a nice feature but can occasionally get in your way. 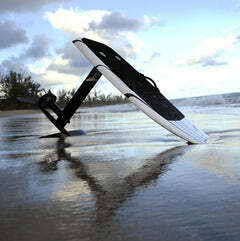 The XR5 is not designed for wake style unhooked riding. That being said we tested this kite in the REAL Slider Park and found that it did have some power surge when unhooking but it was not that bad. Most importantly the kite did not back stall at all when unhooked, which is a great plus. The GTS4 is a much better kite for unhooked wake style, but the XR5 can pull through in a pinch. The bag is big and simple. It fits any size kite easily, even if you did not fold it up properly. 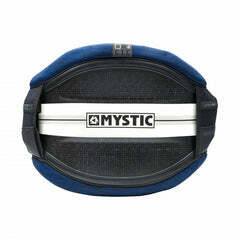 For durability, Core chose to use metal zippers. If you will be storing your kites for a long period of time, we recommend spraying a little WD-40 on the zipper car before storage so they don't corrode and seize up. The Speed Valve 2 Inflation System works really well and most pump hoses will just screw right into the valve. There have been a few pumps that have a fatter pump hose so they don't work on this pump. If you are not sure if your pump will work, then buy a Core pump or the WMFG Replacement Pump Nozzle Pack. Who is the Core XR5 for? The XR5 is an amazing kite. 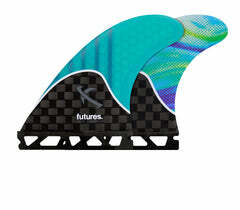 It excels big air, cruising, upwind, beginners, men/women/kids, and waves. 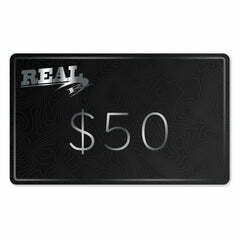 We love the XR5 and recommend it to a lot of our customers because it works so well for so many people. There is a big following of Core riders out there and there is good reason for that. Plain and simple, the kites are exceptional quality and they have killer performance. If you want to buy a great kite, buy a Core XR5! ▪ EXOTEX® ULTRA RIGID DACRON: Zero stretch airframes. ▪ CORETEX® TRIPLE RIPSTOP CANOPY: Extreme durability. 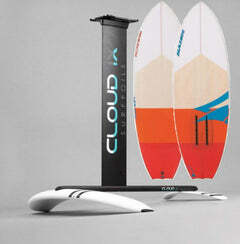 ▪ TWO COLOR OPTION: "BrightWhite10" and "TechBlack10"
▪ 5 STRUT FRAME: Maximum canopy stability. ▪ DELTA BOW SHAPE: More power and even more depower. ▪ INTELLIGENT ARC: Adjustable wingspan on demand. ▪ SHORT BRIDLE SYSTEM: Improved kite feedback. ▪ INSTANT RELAUNCH: Effortless water relaunches. 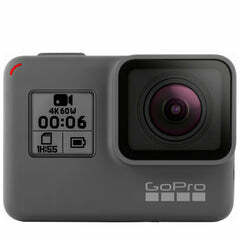 ▪ SPEED VALVE 2: Fast, reduced effort inflation.